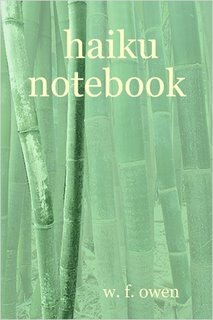 This notebook is a bridge between technical manuals on how to write haiku poetry and collections of haiku. 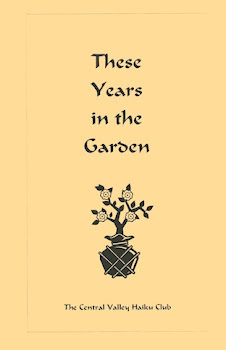 There are two hundred haiku and senryu poems from w. f. owen’s last several years of writing. 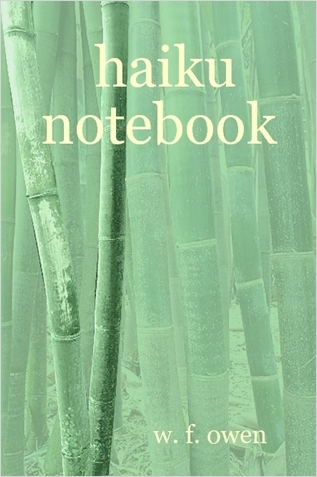 As a professor of interpersonal communication and an award-winning haiku writer, the author presents commentaries, perceptions, brief stories and haibun that are intended to help authors new to this art compose their poems. Included are first-place poems from the Harold Henderson Haiku Contest (2004) and the Gerald Brady Senryu Contests (2002, 2003) sponsored by the Haiku Society of America.